Backed by huge industry experience and market understanding, we are involved in manufacturing a wide variety of Teak Sawn Timber for our valued patrons.Details:Our teak wood sawn timber is precisely sawn in our well furnished saw mill under the strict supervision of experts. 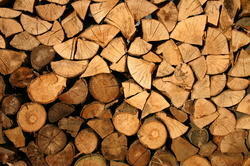 We offer a wide range of timber wood including teak logs, Ghana teak logs, teak cut sizes and Burma teak wood. These timber wood can be used for manufacturing doors, windows and furniture. Our products are manufactured using supreme grade raw material.